Is Time Speeding Up Or Is It Just You? I first heard about rapidly increasing cycles of time in a video I saw many years ago called “Secrets of The Mayan Calendar Unveiled” by Ian Xel Lungold. To very briefly summarize the 6-hour video, Lungold explained that epochs of history are arranged in a sort of pyramid shape and as we move closer to the top, major milestones of development begin to happen at an ever-increasing pace in shorter and shorter spans of time. So for example, the number of breakthroughs, inventions, medical discoveries, etc., have occurred ever-faster to the point where more happens in the average month of the 21th Century than happened in the average year of the 20th Century than happened in the average decade of the 19th Century than happened in the entire 18th Century, and so on. True, there are more people, but that’s part of the squeeze. And his examples stretch way back before mankind even existed. To sum up: we are experiencing the same amount of energy in shorter time periods, to the point that we will eventually experience everything at one moment. That moment, he predicted back in the late 1990s, would be December 21, 2012. Fast forward (pun intention undisclosed) to 2011. A video comes to my attention briefly explaining Terence McKenna’s Time Wave Zero theory. McKenna’s theory was based off of the ancient Chinese I Ching fortune-telling system, which is basically a way to prophesize how certain events will turn out. When McKenna charted a graph of the possible combinations of the I Ching against a timeline of recorded history, a pattern emerged. Dips in the timeline correlated with major historic changes. McKenna started the chart with the creation of the I Ching during China’s Shang Dynasty—the same period as the start of civilization in other parts of the world. And when did the timeline run out? You guessed it, December 21, 2012! And having done this in 1970, McKenna (per his own admission) knew nothing about the Mayan calendar end date. His chart just happened to have shared the same date. If you watch the Time Wave Zero video linked above (it’s only about 7 minutes long and makes a lot of this clearer), you’ll see that McKenna comes to the same conclusions as Lungold about epochs of history being compressed into shorter and shorter time-spans. Most interestingly, he talks of a final six-day period before December 21, 2012 that compresses the energy of the last 384 days, which in turn had already compressed the last 67 years, which had in turn compressed the last 4,000 years, and so on, into their cycles. This is like the cycles within cycles metaphor I often speak of. (This theme was popular on the TV show Lost where events happening on-screen like the appearance of the numbers and Desmond turning the fail-safe key at the Swan Station mimicked the numbers of the candidates and Desmond’s ability to plug the energy of the island with a giant cork. Similar events continually played out in slightly different ways. See “Lost In Myth: Unwrapping the Package” ) McKenna also goes on to talk of tightening time “spirals,” which besides my having brought this up in previous posts, I’ll be bringing up shortly as it relates here. Spirals, pyramids, Mayan calendars and Chinese prophesies may all seem kind of cool in how they all sort of fit together, but until you have a foundation from which you can understand these theories, it all just seems like a bunch of spiritual gobble-de-gook, to use the technical term. So, allow me to flex my layman superpowers as I attempt to clarify all this in a way that I have come to understand it. Thanks to Einstein, time is currently thought of as a giant grid, intermeshed with space. In reality, time is actually an illusion—there is only one moment. 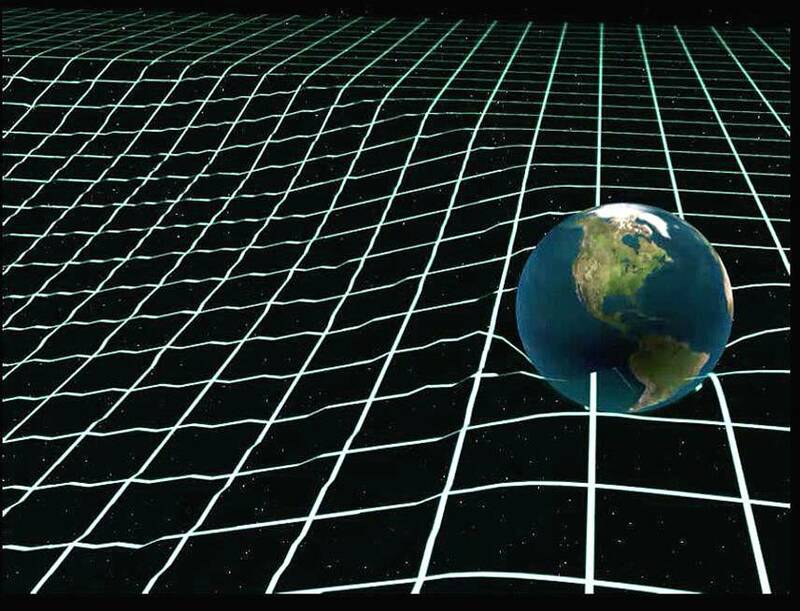 However, as we move through the space-time grid, we feel a sensation we classify as time when it’s really just new dimensions of space piled on top of one another. Think of a filmstrip—it all exists at one moment, but if you move it past a lit lens, you experience the sensation of time. Our reality is very similar. Because our planet is spinning and revolving around our sun, which in turn is rotating around the center of our galaxy, we are continually entering new parts of the space-time grid. But, if we were to say, hurl towards a black hole—where space and time are severely warped, our experience of time would drastically change and possibly overlap on itself. All of this is astrophysics 101…okay, maybe 301, but the point is, most people never think of time this way. Time has also been shown to be experienced differently for individuals, also theorized by Einstein. This is because we too have individual movement through space. Since space and time are interwoven, as one aspect changes, the other must change proportionally. You’ve probably heard the story about the two young twins—if one were to leave earth at the speed of light and, after what felt like just a few seconds, returned, his twin would be an old man. 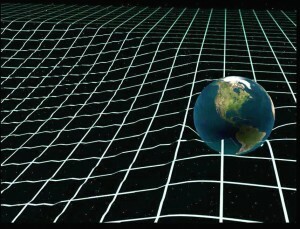 Getting back to the space-time continuum, we’ve pictured space and time as a grid. And this grid will curve or thin out depending on how dense the object is that it’s surrounding. Think of a bowling ball and a golf ball on a Tempurpedic bed. Which one causes the material to bend more? It’s the same thing with planets in space. The denser object causes more warping and therefore, more gravity, and nothing is denser than a black hole—just like the one at the center of our galaxy. So here we are in our solar system gently rotating, spinning, and revolving around our galaxy—the Milky Way. The movement is what allows us to have a sensation of time. And the spirals are what make time patterns feel cyclical. We experience similar patterns every time we are at the same point in a cycle compared with the heavenly bodies around us. These patterns manifest as repeating themes throughout history, i.e., history repeating itself. So the “breaking down of ego” theme that showed up as the fall of the tower of Babel, the sinking of the unsinkable Titanic, the destruction of the all-powerful World Trade Center, and the failure of the banks that were too big too fail all expressed the same theme in slightly different ways over time. And notice, they’ve been happening at increasingly shortening time spans. In fact, if McKenna is right about the final six days before 2012 consolidating all of the themes, then that same ego-busting theme will happen again at some time between December 16 and December 21! In my post, “Are You Experiencing Ascension Symptoms?” I compared these repeating themes to the idea of traveling around a record with the themes expressed as pizza slice-like cuts that get narrower as you move toward the middle of the record (the tip of the slice). As we travel around the record, we keep hitting a certain pizza-slice theme. And as we get closer and closer to the center of the record, the slices happen more and more frequently but last for shorter and shorter spans of time. Now, because our planet is rotating while also revolving around the sun, which in turn is revolving around the galaxy, we experience cycles within cycles of time patterns. (It is also thought that our solar system rises and falls like a roller coaster or wave as it travels around the spinning path of the galaxy, adding yet another cycle.) So within the pizza there are more pizza slices that represent all the themes of the whole pizza, and on and on. Every piece contains the whole. While the record is a great metaphor for understanding the cyclical movement of themes in the galaxy, what it doesn’t really make clear is why we are moving faster and faster? Is it because the universe is expanding? 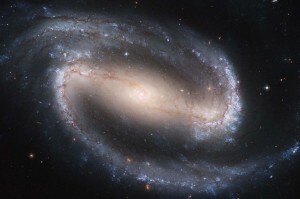 Are the spiral arms of our galaxy picking up speed? While possible, I propose another reason. Most people think of the Milky Way as a pure spiral galaxy, but evidence suggests it’s actually a barred-spiral galaxy. This is a galaxy that has a central bar-shaped structure composed of stars. 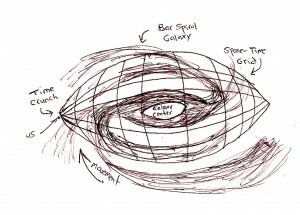 The bar shape affects the path of how the stars, planets, and gasses spin around the arms of the galaxy. Instead of having a spherical perfect whirlpool-like pattern, it rotates in more of an oval-like shape. Instead of being uniform, an oval has two narrower sides. And because it exists within the space-time grid, those narrower sides compress the grid at those points. It’s like taking a net and pinching the corners. At the corners there are more threads of the net in a smaller space. Think of those threads as time and you as an ant walking along the edge toward the corners. 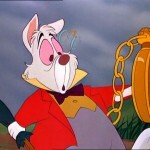 You’ve just experienced a quickening of time, even though you are walking at the same speed. Being inside the illusion of time, nothing seems any different to us. If you are traveling in a car going 10 or 100 mph, it’s all the same to you. However, I believe our minds exist outside the realm of the illusion of time. So in order to follow along with you, your mind sort of skips, causing you to lose track of time. Also, because we are closer to the end of the record (aka the mid-point of the narrowest section of the oval of our galaxy), all the themes are bunched up and hitting us at once. So what this tells me is that right now you are probably busier than you’ve ever been and feel like time is flying by faster than it ever has! Not only has the laments of others confirmed this, the evidence appears on my own blog. In around July of this year, I set up the Facebook “Like” function for each post of my blog. In addition to revealing which posts people like, it’s also a pretty rough indication of how many readers each post is getting (obviously, the “likes” are just a percentage of the full readership, but there is a correlation.) In addition to the “likes,” comments also help uncover the readership. As of today, December 12, when adding together the comments and “likes” since July, an interesting pattern emerges: July=34 (28 likes + 6 comments), August=32 (13 likes + 19 comments), September=28 (21 likes + 7 comments), October=20 (16 likes + 4 comments), and November=10 (5 likes + 5 comments). While it’s entirely possible that my posts are becoming increasingly less interesting and therefore losing readership, more likely, it seems that people are having less and less time to read them. At least that’s what I keep telling myself. What makes believing this easier is that a lot of outside evidence has popped up for me confirming that this is in fact the case. Typing in “time speeding up” in Google will yield you over 46 million hits—most of them blogs from people swearing that they feel the time crunch, and many others trying to explain why. The first of these I happened to click on blamed it all on the increasing pulse of the planet. I’d first heard about this Earth pulse around 2004 when I was doing research for my Layman novels. Apparently, the Earth has a repetitive rhythm known as a base frequency called Schumann resonance (or SR) that’s not unlike a pulse or heartbeat. After being relatively stable at 7.8 cycles per second for decades—what was thought as a general constant—began rapidly increasing in 1980 until reaching over 12 cycles today. Scientists haven’t quite figured out why. 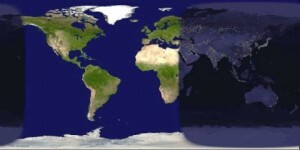 But since this pulse is tied in with the Earth’s magnetic field and its rotation, most sources claim that when the pulse hits 13, it will cause the Earth to stop spinning for a few days and then begin spinning the other way—creating what many spiritual types claim would yield instant karma (since your actions would be thrown back at you). It would also cause the earth’s magnetic field to flip, the sun to rise in the west and set in the east, and all our brains and electric grids to go bonkers. In addition to the evidence sited above, a lot of what I’ve been describing here shows up in David Wilcock’s “The Source Field Investigations” which I think I’ve brought up in, like, my last six posts (maybe that’s why the “likes” are depleting). Wilcock sites evidence that our galaxy may actually have four corners—that’s four areas where we go quicker around the corners—and he also claims that December 21, 2012 will be the day when major changes happen. December 21 is the day of the Winter Solstice, so people may find it a bit incredulous that the darkest day of the year just so happens to line up with the day when our solar system is at the mid-point of one of these galaxy corners. What are the odds? Screw it, never tell me the odds. But Wilcock actually cites tons of evidence that the rotational patterns of many heavenly bodies do seem to correlate like gears in a big clock that all began at some kind of universal alignment billions of years ago. 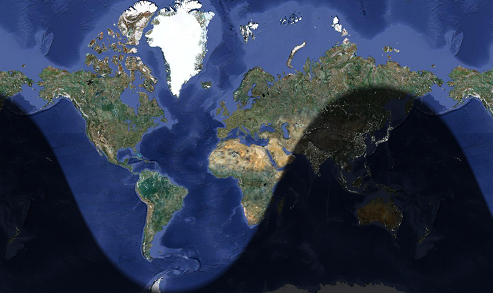 The December 21, 2012 date just so happens to be the date where many if not all of the alignments reset. In fact, it just might be the point where the complete cycle of the universe comes full-circle. What does this mean for us? That we are about to experience the echo of the Big Bang, and therefore the rapid expansion of creation. Because remember, the energetic theme at the time of the Big Bang is creation. As it relates to time, I think that time would begin to expand because the universe began to expand and space and time are interwoven together. In fact, this expansion of time also fits from the other way we’ve been looking at the crunch, from the perspective of turning the corner of the galaxy. Allow me to explain. 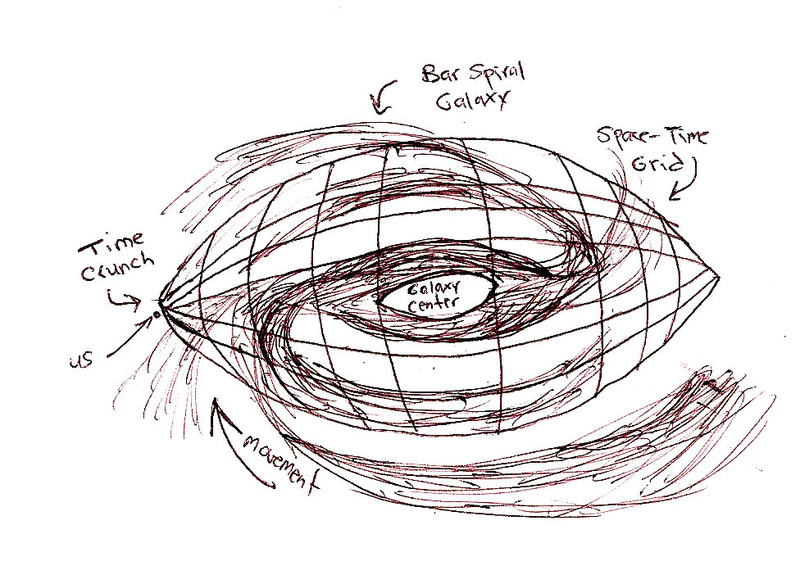 Returning to our space-time model with the pinched edges of the grid (the skinnier oval-edges) of the galaxy, what might happen after the time crunch? Well, after turning the corner, my guess would be that time would begin to slow down again and events would begin happening further and further apart. Of course, this would happen over many, many years. I mean, this time crunch has been happening for decades or even centuries. I’ve always thought it odd that when I looked at pictures of my great-grandmother at 40-years-old and my grandmother at 50-years-old and my mother at 60 they all appeared about the same age. And don’t go telling me that it’s because the earlier relatives had a harder life because I’m not buying it. Maybe that can give you some more wrinkles and grayer hair, but its not gonna age you that significantly. I mean, my 40-year-old great-grandmother from the early 1900s looks at least 20 years older than I do today—and I’m in my 40s! Speaking of aging, I’ve also noticed lately that a lot of young kids seem very immature for their age—especially with language development. Reason could be because they are experiencing time so much faster. So at four-years-old they may have the developmental mind of a two-year-old. Of course, the overly processed foods, decrease in pure imagination play, and increase in independent technology play could have something to do with this as well. But I think the time crunch could also be to blame—it could also be to blame for the drastic increase in autistic children as well. Thought I’d put that out there. Getting back to our current time situation, as I illustrated in both my time grid and big bang repeating themes example, I think after cycling through the time crunch (universal clock reset) we will go through a time expansion—from a condensation of chaos to an expansion of order. Your life and our world will be at it’s absolute messiest on December 21, and begin getting a bit more orderly every day thereafter—unless McKenna is right and it’s all about time travel after the crunch. Wilcock also seems to believe we might get alien contact that day. I thought it would be cool if aliens contact us not with flying saucers or an invasion but in our minds and show us live video images they’d recorded of the truths behind our various religions—Moses parting the Red Sea, the Resurrection of Jesus, etc, which would totally rock our world—especially if all those events had alien involvement. Yet, I digress. Recently, someone brought something to my attention that seems to validate this time-crunch/time expansion theory I thought I’d made up. This intriguing correlation was recently made known to me in the form of W.B. Yeats’ Theory of Gyres (spirals). Yes, William Butler Yeats the Irish poet came up with a theory to graphically express the nature of time as an ever contracting and expanding spiral. Just as how the light from the sun can be graphed as a perfect straight line on the earth during the equinoxes and a perfect bell curve during the solstices, so too can our experiences of something cyclical be graphed as a shape. So since time feels like it’s moving forward and also feels like it’s going faster, it can be graphed as a spiral that contracts as time goes faster and expands as time slows. (I would also add vertical lines that hug the shape of the spiral to represent the repeating themes we continually hit, albeit, from different points in time as we rise up the spiral). Besides the contracting and expanding spirals, Yeats also added another twist. He believed that the start of one cycle and end of another doesn’t touch point to point, but overlaps, sort of like two overlapping tetrahedrons or a star of David. (It’d be much easier if you just look at the picture on the side than have me try to describe this.) And do you know what’s interesting about a Star of David? When you trace the corners you get a hexagon—the shape that forms honeycombs that have been continually popping up everywhere lately! It’s like our minds already sense what’s happening but we cannot process it correctly so the hexagons keep popping up. The idea of moving from one contracting spiral to an expanding spiral is also illustrated by my record analogy that I briefly referenced. Think of the record playing; we continually move closer and closer to the center until a new record comes on and we start from the outside section again where the pizza slice life themes are wider and more spread out. However, while our old record was likely spinning at say, 33 RPM, the new one would be moving at a faster vibration, say 45 RPM. Only now, we’d be moving/playing at that vibration too, instead of just hearing that record’s music playing—music which would’ve sounded like the chipmunks when we were moving at 33 RPM, but would now sound clearer. So the voices and images from the new record (dimension) will begin to get more understandable—those voices being the ringing in our ears and the images being the fleeting glimpses in our sight. And now time would feel slower to us too. In case you’re getting lost in the metaphor, the idea is that going through this time crunch may physically change us—our DNA or brain waves or vibration—to the point where we evolve—or die. In the Ascension Symptoms post where I wrote about the record analogy, I also wrote of three personality types: the materialistic Snooki Boo Boo, the spiritual but struggling Halfling, and the enlightened Dolly Llamas. For the Dolly Llamas who float above the material trappings of our world, the speed of the record is irrelevant as they are already connected to the faster spinning one before everyone else is forced onto it. For the Snooki Boo Boos, the time crunch isn’t as noticeable now because they are so focused on the record their on as opposed to how fast they are spinning in comparison to everything else (their soul/mind). The Halflings are the most sensitive to the speed as they are halfway on and off the record and often have to try to keep up with it like running on an ever-increasing treadmill. So while the new record with its faster speed will come as a complete shock to the materialistic Snooki Boo Boos, I think it will be a welcome relief to the Halflings since they will at least now be at the slower-moving outside part of the record (note the overlap of Yeats’ spirals. After leaving the narrowest part of one spiral, or the end of a record, you move onto the fattest part of the next one. Both record and spiral graph illustrate the same concept—you begin hearing the music of the next dimension before you officially jump there, but once you do, you are at the slowest part (outside of the record) and fastest part (new RPM) simultaneously. Just as after the time crunch you begin to expand. To make some spiritual sense of all this, some of us are already vibrating at 45 RPM, but since the world isn’t quite there yet, it seems to be going by really fast to us (our minds trying to keep up with our bodies going through the galaxy time crunch). Once we go to the faster record, everything will begin to return to normal. So hold on my fellow Halflings! Mark December 16 to December 27on your calendars. Your life and our world are going to change during that time: time travel, aliens, the destruction of the Vatican, a new species of man, or evolution of all life here—who knows? But something big. To anyone who doesn’t hear the voices in their head (and boy do I envy you) it may seem as though I’m making up all this Snooki Boo Boo Halfling stuff. Actually, I didn’t (well, the names I did but not the concepts). These are archetypes that have been showing up in our mythology for thousands of years. These archetypal characteristics relate to traits that can change based on life experiences. You can begin materialistic, become more spiritual, and then lose ego and become enlightened all together. But other archetypal characters of the story relate to personality types that we are born with based upon the celestial clock gears in the heavens. So elves relate to the more materialistic but fun-loving earth signs among us (Taurus, Virgo, Capricorn), dwarfs are the intense and selfish yet dedicated and passionate fire signs (Aries, Leo, Sagittarius), fairies are the flighty and mischievous yet creative and inspirational air signs (Gemini, Libra, Aquarius) and water nymphs are the emotional and reactive yet caring and affectionate water signs (Cancer, Scorpio, Pisces). What does any of this have to do with the coming time crunch? Well, besides the clock gear analogy I just made that relates to our personalities (and fits with the earlier clock gear analogy I made), I think it also relates to the coming evolution that we’re about to undergo. 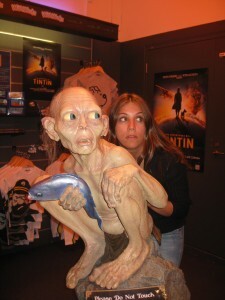 I expect that Snooki boo boos/men will evolve to become Halflings/Hobbits who in turn will become Dolly Llamas/Wizards. And Wizards will go from Gray to White. And hopefully those Wizards will be naturally selected to pass on more of their genes so we’ll be able to survive the next disaster meant to clear away the rubbish, as the Great Flood myth describes. 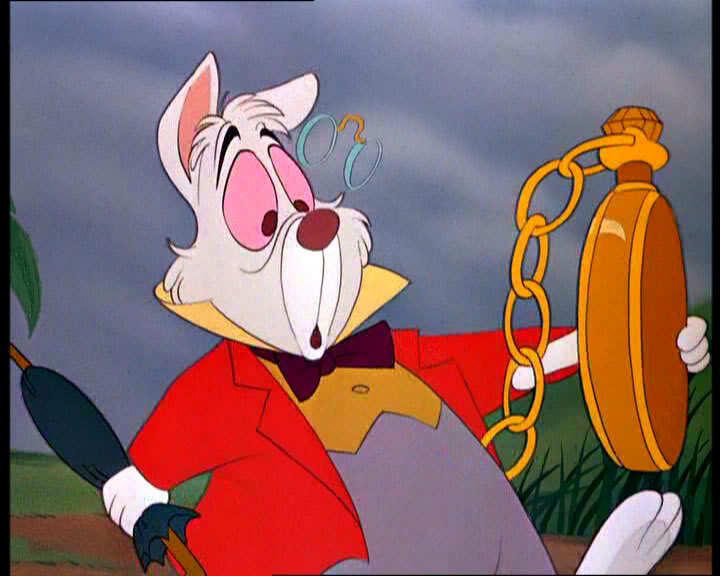 I don’t know about you, but I’ve definitely been feeling the time crunch. Not only do I feel like time is moving faster than ever (what used to feel like 24 hours to me now feels like about 16), but I also have more to do than ever before. When just last year the universe only required me to write one blog a season, now it demands one a month—and this month it wants me to write two! Not only that, but these blogs have become longer and longer—mostly because so much more comes to me in 30 days time than it used to, so I have to cram it all into one post. Even crazier, my future posts are all piling up. At this point I have enough topics to cover most of next year! And my wife and I are expecting twins! So yes, I want time to slow down so I really hope my theory about that is correct. An atheist friend of mine always points out how my theories align with what I want to happen—I want time to begin slowing down after December 21 and I want to find out that we live in a simulation meant to help us grow as human beings. Yes, I am fully aware of the wishful thinking element of my beliefs. But what he doesn’t take into account is how much of our reality seems to be created by our own thoughts. And yes, that’s something I wish to be true as well. Much like all the posts I’ve written which I linked to in this post, everything does seem to all fit together into one cohesive whole. All my theories fit together—all the metaphors, all the videos that have come my way, all the ideas from these various sources—both modern and ancient. Correlation does not equal causation, but when so many thousands of pieces all fit together, at some point you start to see the big picture. For me, the big picture is that we live in an illusion. Call it a hologram, a simulation, a matrix, computer game, whatever. It isn’t real. Our experience is all in our minds. Our experience of time is also an illusion. In reality, there is only one moment, just like the code written on a computer game that’s on a disk. You can play the game over days or weeks or months, but all of it exists at one moment. When you copy a disk, you may notice that it gets faster and faster as it makes it’s way to the center, just as we’re all experiencing time moving faster and faster now. Our computer game disk is nearly at its end. We are about to move to a new disk—a new level, new record, new reality, new dimension, vibration, whatever. It’ll be freakin’ new. I don’t know exactly what will happen on December 21, but I do know this: the only thing that’s constant, is change, and we’re about to get a shitload of change! As I’ve said before, those who define themselves by what they have rather than what they are will have the biggest challenges in the upcoming transformation. Remember, you are the expression of the mind of God. You are helping to create the reality we want to experience. We’ve been going at this frantic pace long enough. It’s time to slow down and just learn how to be without a need to continually do. Leave a space for life to come to you. I think we will all have the opportunity to consciously create that reality on December 21. But if we don’t, I’m confident that our collective unconsciousness will do it for us. 8/15/13 UPDATE: I’ve just come to discover that in the Book of Enoch, it is written that during the end of days, time will speed up. I knew nothing about this passage but find it interesting that my own conclusions have resonated with an ancient text! The I Ching end date is really fascinating. Now about the older looking relatives=harder life, I still think that is true. I look at my mom when she was my age, and she looked older than I do now. However, I look at her now at 79 and she looks so young for her age. I think it’s because her early life was much harder. So what you’re saying is that many years ago your mom aged quickly, but these days she’s aged much slower. Your example actually proves my point. Many years ago, time was moving slower so we aged faster. But now that time is going faster, we’re aging slower. So your mom aged MORE many years ago than she’d done in recent times. If your reasoning was true, your mom probably wouldn’t have gone from looking older to looking younger, but just looking about her age. It doesn’t prove your point because if that were the case, everyone my mother’s age would look younger. But she looks younger than people she 10 years older than. I think her life got easier or she stressed less. Everyone your mom’s age likely DOES look younger than their grandparents. The fact that your mom looks younger than them is likely just genetics. I agree that some people will look younger and some older than they are. My point is that everyone–whether they look young or old for their age, will look younger than prior generations. Hey Marc! Funny… I read this quick article on the Huffington Post shortly after reading about your incredible theories today and, of course, I thought of you. Thanks again for your incredible insight! I look forward to reading more! 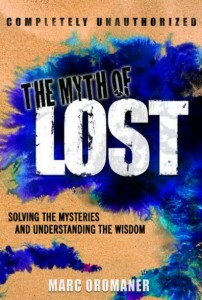 Ken Hill posted this on The Myth of Lost Facebook Page. Thanks Ken! + We have entered Humanity’s Next Cycle. + We have entered the Age Of Woman. + Our world is in an Ending Which Is A Beginning. Thanks for sharing that Leland. Movies and TV shows of late seem to support that in their mythological messages, channeling to writers and other modern day shaman.